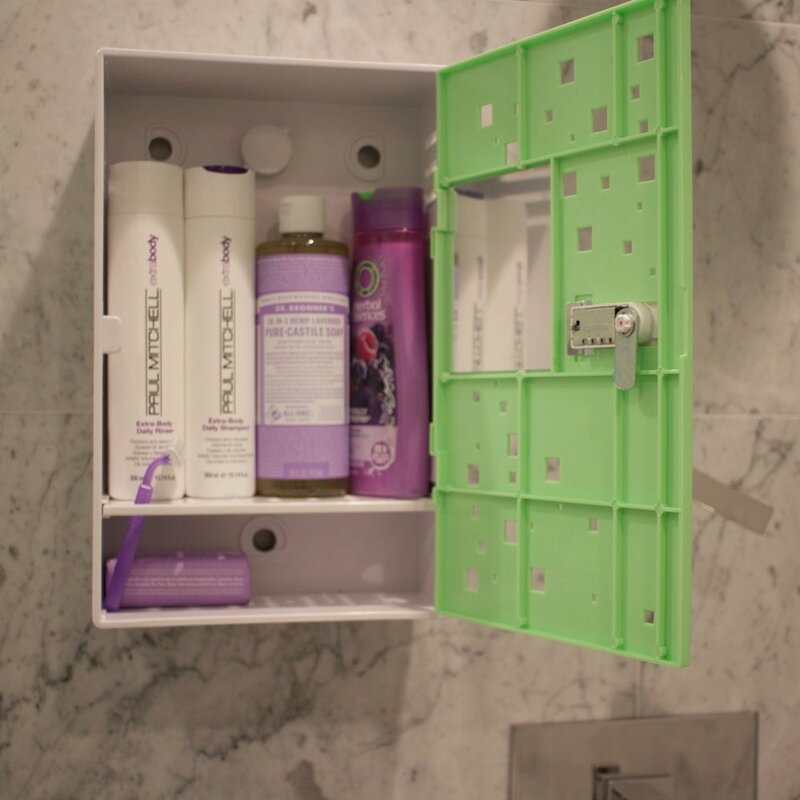 Optimized size accommodates all personal care products - even jumbo sized bottles. 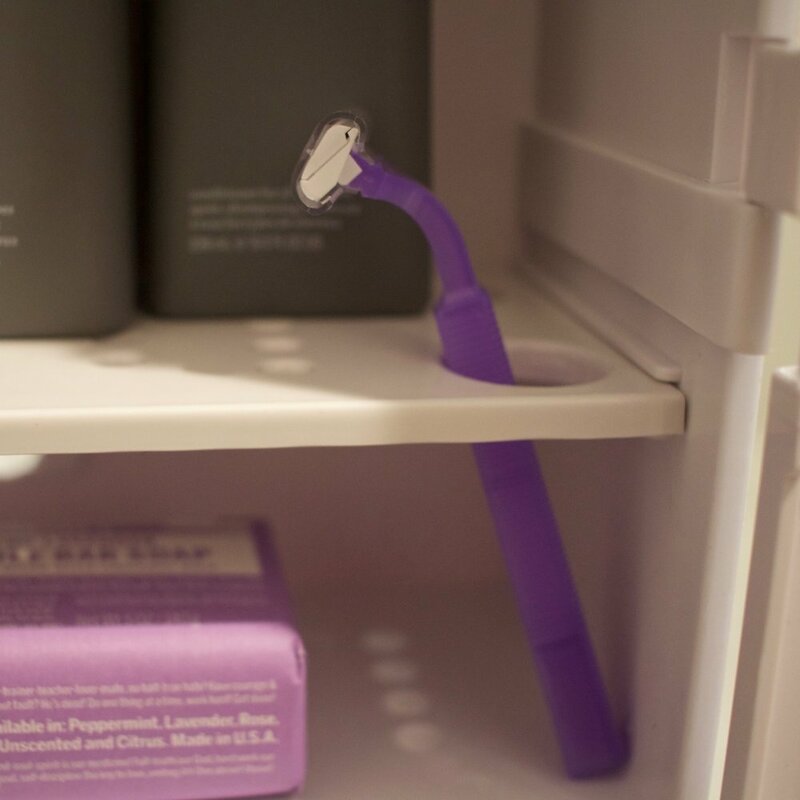 Removable shelf and bottom of Shlocker designed with holes for drainage and wider ones to hold a razor, toothbrush, etc. Easy to install, and each one can hold up to 40 lbs.